To celebrate Russian Art Week at Erarta Galleries London, world-renowned, Russian artist Leonid Tishkov brings his ‘Private Moon’ light installtion to London for the first time since 2013. Opening the week at Erarta Galleries, Tishkov also participates as curator of Maxim Boxer’s exhibition and auction ‘Cartoon-Like’ on the gallery’s lower ground floor. Comprising 78 lots, the curated exhibition-auction also features some of Tishkov’s alternative artistic mediums, including screenprints and oil on canvas pieces. ‘Private Moon’ is a visual poem telling the story of a man who fell in love with the Moon and stayed with her for the rest of his life. Immersed in a dream, taking care of this heavenly creature, the man becomes a mythological being, crossing the borderline between the two worlds, living in the real world as if in a fairytale. The Private Moon’s Moscow series (2003-2005) consists of of photographs made in collaboration with russian photographer Boris Bendikov, each photograph a little poem in its own right. 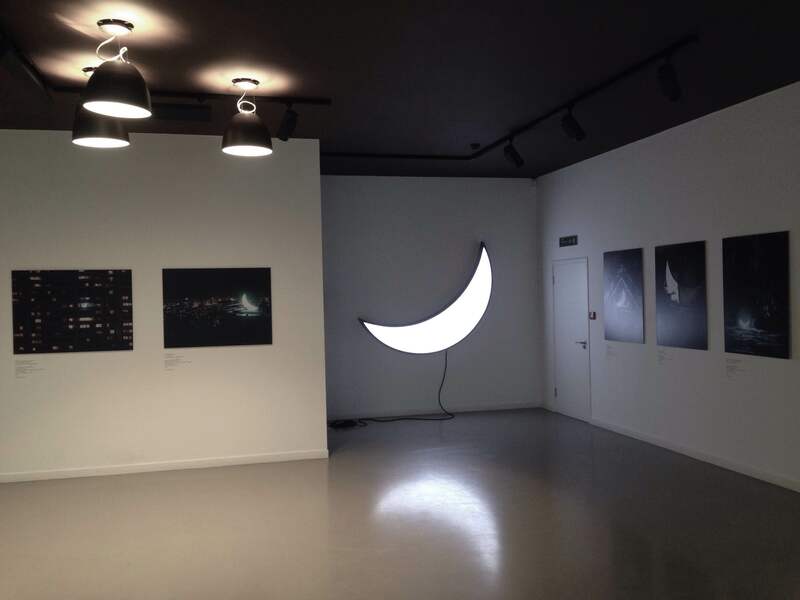 The Moon exhibited at Erarta Galleries London is the original installation, having traveled with the artist across Russia, the US, Japan, Singapore, Taiwan, Austria, France and Switzerland.